We automatically back up all Wild Apricot accounts on a daily basis and store the backups at a location separate from our data center. These backups protect your data from catastrophic threats to our data center, and can be used to restore lost data only in the case of emergency. These backups are not available to clients. You can, however, back up your contact database, event registration details, invoices, and payments and refunds, by exporting them to Excel spreadsheets. The export file will be an .XML file in Microsoft Excel format. You can also download individual web pages, and archive your entire Wild Apricot site. You can back up the contact data from your Wild Apricot account by exporting it into an Excel spreadsheet. You can use the exported spreadsheet file to import and thereby restore contacts and their data. Hover over the Contacts menu and select the List option. Do not filter the list unless you want to back up only selected contacts. On the screen that appears, select the export file format – XLS, CSV, or XML. Choose which fields to include in the export file. While the export file is being generated, you can click the Continue working button and safely switch to another Wild Apricot admin screen. Once the file is generated, you'll receive an email with a link to the file. If you waited until the export file was generated, the file will be automatically downloaded. 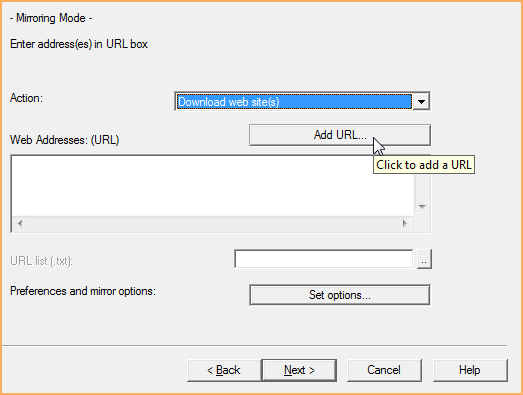 As well, a dialog with a link to the file will appear, and an email with the link will be sent to you. 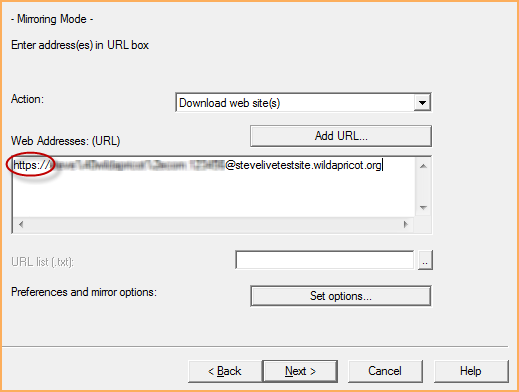 Before clicking the download link within the email, make sure you are logged into your Wild Apricot account as an administrator, and in admin view. You can now open the file in Excel or another spreadsheet program. ...plus any custom fields you have added. Archived contacts will not be included in the export file. If you want to back up your archived contacts, repeat these process after filtering the list to display archived contacts. Hover over the Events menu and select the Event list option. Within the event list, click the event. Click the Export attendees button. While the export file is being generated, you can click the Continue working button and safely switch to another Wild Apricot admin screen, or wait to download the generated file. Hover over the Finances menu and select the Invoices option. From the Invoices tab that appears, click the Export to Excel button. Hover over the Finances menu and select the Payments and refunds option. You can use WebDAV to copy files from the Resources folder on your site. These files can include pictures and documents uploaded to your site, your photo albums, your theme files and theme overrides, and your custom email templates. A WebDAV connection appears as another drive on your computer. You can view and manage the folders and files stored on your Wild Apricot through the folders appearing within the WebDAV drive. You can perform all the same actions – drag and drop, rename, delete – that you would on files and folders stored on your own computer. For more information, see Uploading files in bulk using WebDAV. Display the page within your browser. Right click over a section of it – other than a picture or link – and select the Save as or Save page as option. Alternatively, you could select the Save as or Save page as option from the File menu. Save the HTML file to a folder on your computer or network. You can use the downloaded file as a reference – or copy HTML code from it – if you need to reconstruct a page after deleting some or all of it. To download or archive your entire site, you can use free software such as HTTrack. You can use the downloaded site files as an archive – a snapshot of your site at a particular moment in time – and as a reference if you need to repair any portion of your actual Wild Apricot site. You cannot use HTTrack to restore your site, only to download or archive the files that comprise your site. Download, install, and run HTTrack. From the main HTTrack screen, click Next to begin. 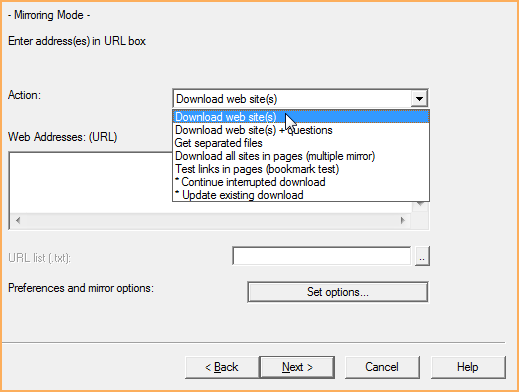 Within the Action drop down, select Download web site(s). Click the Add URL button to add your Wild Apricot site address. 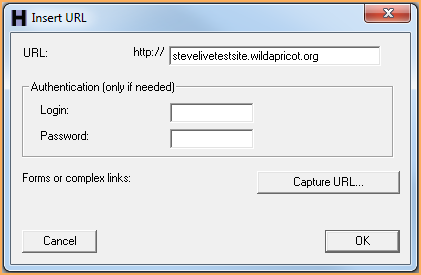 Enter your Wild Apricot site address – minus the http – in the URL field. Click OK to proceed. If you've set traffic encryption on your Wild Apricot site to Always, you must manually add an s to the http at the beginning of the Web Addresses string. Click the Set options button and set the Maximum mirroring depth on the Limits tab to 2. Click OK to proceed. Click Finish to begin copying your site.